Long before a star appeared over Bethlehem the first Christmas night, ancient prophecies foretold the coming of a Messiah-King who would save people from their sins and gather them into God’s reconciled family: “Behold, the virgin shall conceive and bear a son” (Isaiah 7:14 ESV); “O Bethlehem…from you shall come forth for me one who is to be ruler in Israel” (Micah 5:2 ESV); “a star shall come out of Jacob” (Numbers 24:17 ESV). Throughout the years, the people of Israel searched and yearned for signs of this Savior. Would they recognize Him at His coming? 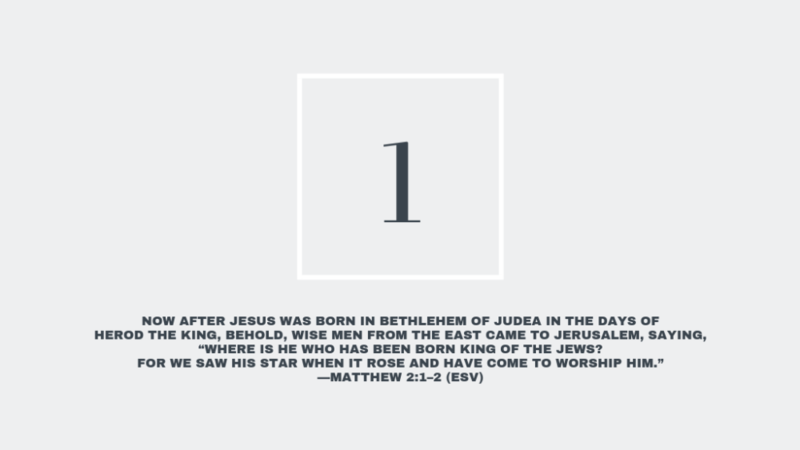 Centuries later, a star marking the Messiah’s birth rose over Bethlehem, and the people of Israel weren’t the only ones watching. Magi from the East, likely Persian intellectuals who studied ancient lore and astronomy, noticed one new, unusual star among the billions hanging over the Northern Hemisphere. Recognizing the significance of this sign, they followed the star on a months-long journey to find and pay homage to Israel’s newborn King. The inclusion of the Magi in the narrative of Jesus’ birth offers us another sign: God’s promised redemption isn’t for Jewish people alone, but for all peoples of the earth who seek Him. As we grow in our faith, we learn to notice signs of hope and grace—glimpses of the Kingdom dawning around us. We learn to live in anticipation and readiness, and our eyes and ears begin to focus more clearly on recognizing Good News in the midst of a distracted world. There are over two billion people still waiting to see the signs of Jesus, yet many are searching for hope, peace, a better way. When God set eternity in our hearts (Ecclesiastes 3:11), He instilled in us a longing for Him that nothing else can satisfy. And He continues to draw all who seek Him into His story (Acts 17:27). Ask God today to open your eyes and ears to see and hear signs of His coming Kingdom. Where do you see hope? Where do you hear God’s promise? How might you share this Good News with others? 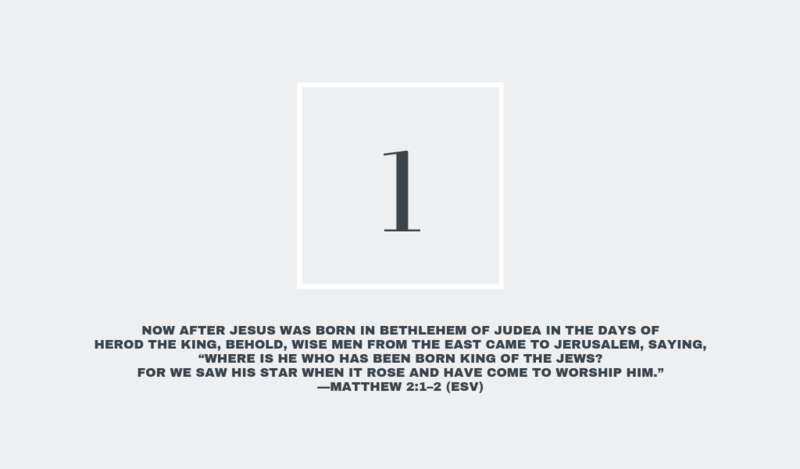 Read more from our Advent devotional series.